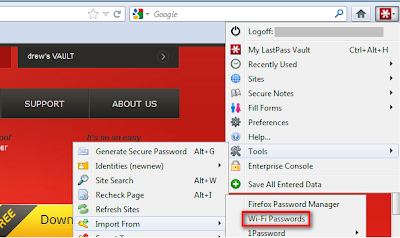 Selecting the WiFi Passwords import option generates separate secure notes for each WiFi network, and stores the passkey and connection type for each. On Windows, you can then export the WiFi passwords onto other computers! The process does require a WiFi connection to import and export, and for Windows requires a separate executable that's only added when you run the Windows installer. 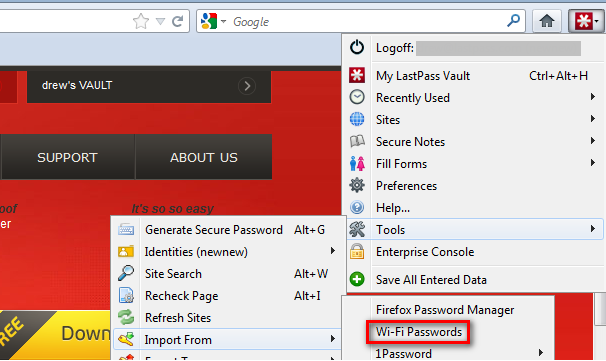 Please see our helpdesk article for more information on using the new feature: http://helpdesk.lastpass.com/getting-started/importing-and-exporting-wi-fi-passwords/.